We provide a wide range of Ecommerce solutions for the online store owner. Our Ecommerce shopping cart software packages range from all inclusive top-notch high-end feature rich ( the features and functionality provided by sites such as Best Buy, Wal-Mart, etc. ) to mid range, to basic, to shopping carts which can be incorporated into your existing and / or new websites we design for you. Having an online store allows you to offer your products and services to anyone, anywhere at anytime. Without hiring a single new employee, you can receive and process orders from all over the world, 24 hours a day. We will guide you through the process of successfully selling your products and services online. A recent study from Stanford University concluded that the number one factor that makes your visitors trust you is your web site’s appearance & design. In combination with Ecommerce, we are experts in Oscommerce, Zen Cart and Encome open source ecommerce packages and can extensively enhance your version with contributions, custom functionality and features. We provide complete Oscommerce Customization, Custom Development, Enhancements, Contributions Integration, Development and Programming, Hosting, Setup, Search Engine Optimization SEO, Consulting, plus much more. We can turn your Oscommerce implementation into a custom high-end one-of-a-kind solution for your market space. We can incorporate our proprietary custom Oscommerce contributions for Search Engine Optimization which provide auto-generated meta-tags from catalog and database entries plus selected easily editable targeted page content thereby ensuring top ranking when visitors search for the products / services you offer. Combine this with our Professional SEO Marketing Plans and you will be assured of the very best search engine placement for your Oscommerce website! It's easy as 1-2-3 when working with us. With our comprehensive Ecommerce Website Design Services you are assured of a complete integrated solution on-time and on-budget every-time ! We offer thousands of pre-made ecommerce website templates to choose from. Each Template Type is designed to work with one of our industry standard Ecommerce Software Packages. From these we can develop a complete ecommerce website solution satisfying your specific requirements. Websites developed from templates offer a cost savings over custom developed websites. Encome - Enterprise Ecommerce is a high-end all inclusive fully integrated website and ecommerce package. No awkward "Online Store" button because the website and ecommerce shopping cart is seamlessly integrated into a single cohesive website. Everything needed to run a high-end online store is built in and can be turned on / off by the website administrator. Encome is a complete full-featured high-end ecommerce online store solution! It contains both a catalog front-end and an administration backend which can be easily configured and supported using a secure web-based interface. Encome is a completely integrated solution encompassing both your website and shopping cart requirements thereby providing a professional integrated appearance to your visitors. Encome is one of the most advanced virtual stores for the web. It's visual appearance can be completely customized to your requirements. It offers unlimited categories, products and product-options, registered and unregistered shopping carts, customizable tax options, multiple shipping and payment modules, products on special, clearance products, featured products, banner management ( sell advertising spots on your website ), newsletters, and many-many more options. Most of the above Custom Ecommerce Websites Examples were developed using Encome. The Encome brochure contains over 15 pages of built-in features covering absolutely every feature a store owner would want. Simply too many features to list on a webpage so please be sure to click and view the brochure link below. Encome supports FEDEX, USPS, UPS, Region, flat rate, and zone shipping methods. Encome supports Credit Card ( online and offline processing with built in algorithms for card number validation ), Money Order, Check, Paypal, and most payment gateways such as Authorize.net and many more. Customers can be setup as retail, wholesale, quantity discount or any group type you define. Encome has built in Search Engine Optimization SEO code built throughout the package ensuring that whenever you make product changes those changes will be fed to the search engines ensuring continued top placement in search engine results. Our development staff spent over 2 man-years developing the Encome package and was derived from the existing industry standard open source code base (oscommerce). Every feature you could want has been incorporated and works flawlessly. If you require an additional feature, we can quickly incorporate it. In fact, we can have your store online and selling products in a matter of days fully customize to your requirements. By offering this product as an off-the-shelf ecommerce solution, we are able to provide this level of functionality at a very affordable price with quick implementation plus you own the rights to the code forever. osCommerce is an online e-commerce store solution that offers a wide range of out-of-the-box features. Oscommerce is available as an Open Source based solution released under the GNU General Public License. OsCommerce was started in March 2000 and has since matured to a solution that is currently powering 12,000+ live shops around the world. The success of osCommerce is secured by a great and active community where members help one another out and participate in development issues reflecting upon the current state of the project. No awkward "Online Store" button because the website and ecommerce shopping cart is seamlessly integrated into a single cohesive website. The other ecommerce software packages discussed on this page including Encome and ZenCart are all derived from the Oscommerce base code. This means they all have the same set of base functionality plus each having their own unique additional features. This ensures you of a reliable ecommerce solution plus thousands of developers able to support it including us. We have thousands of Oscommerce templates for you to choose from and each template includes the full Oscommerce software package plus the template you've selected to change the store's visual appearance. By using a template we can have a full featured integrated website & ecommerce store with the appearance of a fully customized store live in a relatively short period of time plus you own the code. 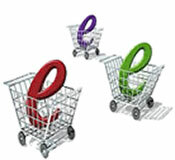 Zen Cart truly is the art of e-commerce; free, user-friendly, open source shopping cart software. It is an online e-commerce store solution that offers a wide range of out-of-the-box features. It was developed by a group of like-minded shop owners, programmers, designers, and consultants that think ecommerce web design could be and should be done differently. Some shopping cart solutions seem to be complicated programming exercises instead of responding to users' needs, Zen Cart puts the merchants and shoppers requirements first. There are hundreds of shopping cart programs available, but none come close to offering the level of options, features and support available with Zen Cart. Even the commercial programs have a hard time competing. Zen Cart is derived from the Oscommerce base code. This means it has the same base functionality plus it's own unique additional features. This ensures you of a reliable ecommerce solution plus thousands of developers able to support it including us. We have thousands of Zen Cart templates for you to choose from to change the store's visual appearance. By using a template we can have a full featured integrated website & ecommerce store with the appearance of a fully customized store live in a relatively short period of time plus you own the code. Store Maker Pro is FREE with most Website Hosting Plans we offer. It is a powerful shopping cart solution providing a complete secure online store environment that can be linked to a new website we design for you or integrated through a link from your existing website. It provides the ability to change colors and appearance so that it can seamlessly integrate into websites. The website would have a link called perhaps "Online Store" which would bring up Store Maker PRO. It is not a website but rather the online store portion of a site. The website can be designed so that it appears the website and shopping cart are a single fully integrated storefront. Store Maker PRO offers unlimited categories and products, products can be standard shippable, downloadable, membership, donation, multiple shipping methods with local and tier pricing, payments types of credit cards, money orders, checks and COD, secure area for viewing orders, dozens of payment gateways supported or process orders offline, and much more. Having an online store allows you to offer your products to anyone, anywhere at anytime. Without hiring a single new employee, you can receive and process orders from all over the world, 24 hours a day, using Store Maker Pro. With Store Maker Pro, you benefit from the same features and benefits that other industry leading e-store applications without additional costs. Store Maker Pro is reliable because it operates on a clustered server environment that is both fully redundant and monitored 24X365. Most e-store applications today are optimized for a single server environment that can dramatically impair operational continuity. Store Maker Pro is the easy to use, a few clicks of the mouse and your categories and products are entered. In minutes you can be up and taking live orders on the Internet for your products and services. Store Maker Pro is completely secure with 128-bit Secure Socket Layer. You and your customers can be assured that all transaction information is completely secure. Standalone Shopping Carts can be incorporated into an existing website or new website and provide the functionality for the website administrator through an SSL secure area to add products, update prices, pictures, manage wholesale customers, process orders and more. The website visitor uses the shopping carts to add products, securely though SSL enter their shipping, billing information, credit card information and place the order. We can also build shopping carts specific to your store and have developed several in PHP, ASP and Coldfusion using databases such as MySQL, MS SQL Server and MS Access. A shopping cart specific to your store would be developed or derived from an existing cart we have should you require functionality not already present in our cart offerings. What do you need to set up Ecommerce? The following five key items are required to set up your e-commerce website. As a solutions provider we provide everything plus keep it simple by only dealing with us. SSL Certificate - Our hosting plans come with a free SSL certificate. A protocol to enable encrypted, authenticated communications across the Internet. SSL is used mostly, but not exclusively, in communications between web browsers and web servers. URLs that begin with "https" indicate that an SSL connection will be used. SSL provides 3 important things: Privacy, Authentication, and Message Integrity. In an SSL connection each side of the connection must have a Security Certificate, which each side's software sends to the other. Each side then encrypts what it sends using information from both its own and the other side's Certificate, ensuring the authenticity of the message's origin, that only the intended recipient can de-crypt it, and that the data has not been tampered with. The cost of an SSL certificate ranges from $30-1500+ annually. All of our hosting plans come with a free SSL certificate which may be used with your ecommerce website thereby saving you the additional reoccurring expense of maintaining your own SSL. Bank Merchant Account - A written, commercial bank account established by contractual agreement between a merchant/business and a bank and/or a payment gateway. The agreement contains the respective rights, warranties, and duties with respect to accepting bankcards like Visa or MasterCard. Usually you must apply for this account directly from your bank or from the Payment Processor. Payment Gateway Provider - For credit card processing. A combination of software and hardware that provides an interface to the bank card processing network. There are two ways in an ecommerce store to process credit cards. Online - This is the most secure, easiest method and works in that when an order is placed the credit card is immediately validated and you have preconfigured the account to either transfer the funds to your bank account immediately (Capture mode) or to wait until later in the day to process all your days sales at once (Authorization mode). The only reason one would choose to process all sales at the same time is to perhaps first verify sufficient inventory exists to fill each order. In addition, whether using Capture or Authorization modes a hold will be placed on the funds and deducted from the credit card's available balance so as to ensure your sale remains valid until you actually perform the funds transfer to your bank account. The hold will be automatically released in 48 hours if you do not process the transaction. Offline - This is where the credit card info is saved into your store's secure database and processed later using perhaps your existing bank merchant account. The drawback is that you are not validating at the time of sale that the credit card is valid or has enough available credit remaining to satisfy the amount of the order. Accepting Credit Cards Has Never Been Easier. To keep it simple we have combined both the Merchant and Gateway requirements (items 4 & 5 above) into single products for you to choose from. Each provides everything you need to start accepting credit cards for both your online and regular store plus they include free setup and the very lowest rates in the industry. Each offers different features such as QuickBooks integration, card swiping ability / equipment and etc. For our online stores we recommend AuthorizeNet as it's the industry standard and always works flawlessly. We strive to offer complete turn-key ecommerce website solutions and services from initial website concept definition to website design, website development, graphic design, search engine optimization SEO, submission, promotion, ongoing marketing SEM, website hosting, and visitor reporting. In addition, we can maintain your existing site and correct issues, enhance and add new features.